FREDERICTON, N.B. 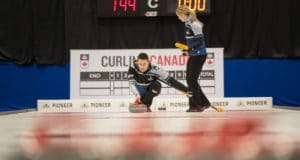 – Thirty-two mixed doubles teams are competing at the 2019 Canadian Mixed Doubles Curling Championship for an opportunity to represent Canada at the world championship in Stavanger, Norway. The quest for the championship began on Tuesday night at Willie O’Ree Place with two draws. FREDERICTON, N.B. 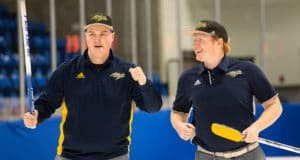 — The all-stars and other awards winners at the 2019 U SPORTS and CCAA – Curling Canada Championships were announced on Tuesday night at the closing banquet. 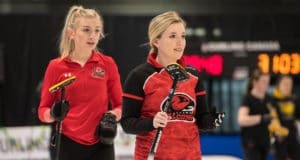 The Douglas Royals are the 2019 CCAA Curling Canada Women’s Champions following a 7-5 victory over the MacEwan Griffins. 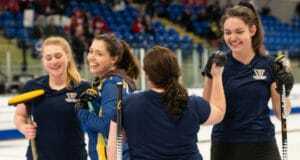 FREDERICTON (U SPORTS) – The Laurentian Voyageurs won the 2019 U SPORTS women’s curling championship, while the Carleton Ravens captured the men’s title. 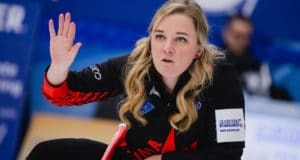 2019 Everest Canadian Seniors underway Friday in Chilliwack, B.C. 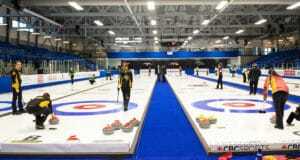 A star-studded field of Canadian and World champions, as well as an Olympic medallist, will open play Friday at the 2019 Everest Canadian Senior Men’s and Women’s Curling Championships at the brand new Chilliwack Curling and Community Centre in Chilliwack, B.C. 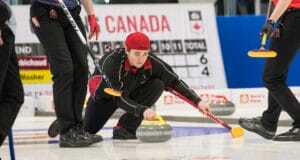 FREDERICTON (U SPORTS) – The playoff picture is becoming clearer at the 2019 U SPORTS/Curling Canada Curling Championships in Fredericton.